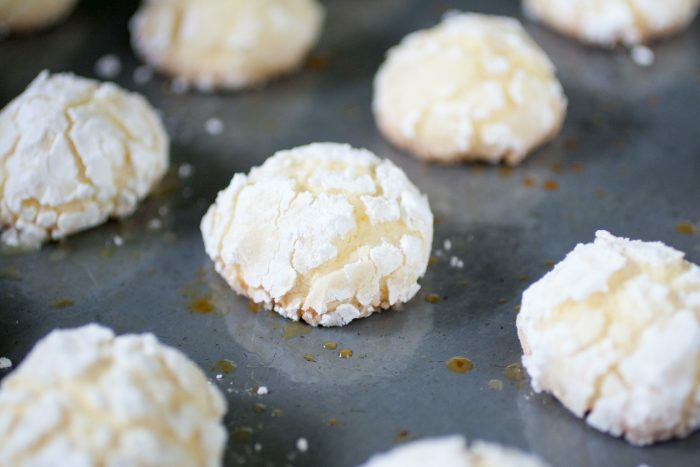 These coconut Moroccan cookies are made with semolina flour. Covered in powder sugar and with a hint of orange. Traveling the world through cooking and baking is the way to go. 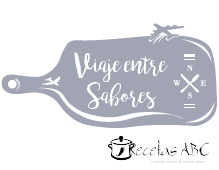 Of course, being there would be amazing, you can still travel and enjoy other cultures right in your kitchen. With some bloggers friends, we are heading to Morocco. Morocco is a country in North West Africa, and it overlooks the Mediterranean Sea to the north and the Atlantic Ocean to the west. Moroccan cuisine is considered as one of the most diversified cuisines in the world. Moroccan cuisine is mainly a fusion of Moorish, European and Mediterranean cuisines. And today I’m sharing with you one of the variations of Ghreyba. 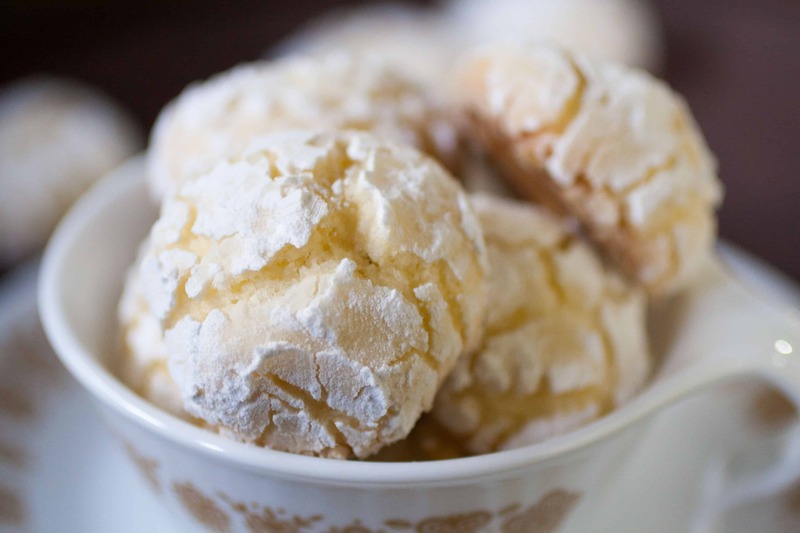 Ghreyba cookies are Moroccan butter cookies made with different kinds of flour. These cookies can be made with almond flour, ground sesame seeds, or ground walnuts, making them gluten-free. The variation today is the one made with semolina flour and shredded coconut. This recipe is one of the most easy recipes I’ve seen. Very hard to ruin them. All the ingredients are mixed in one bowl. It’s a sticky dough, but easy to handle. 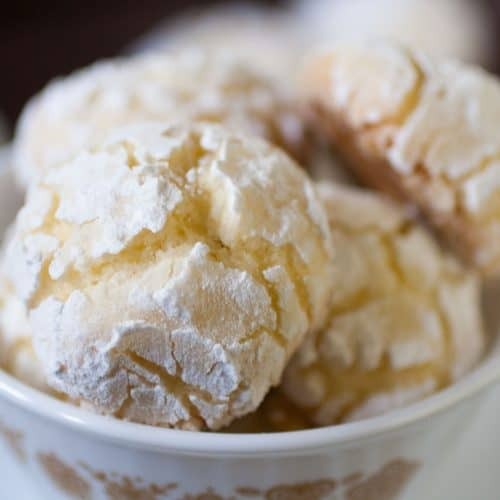 To form the balls, you wet your hands with a little bit of orange blossom water (I didn’t have this and omitted this step) and then roll them in icing sugar. 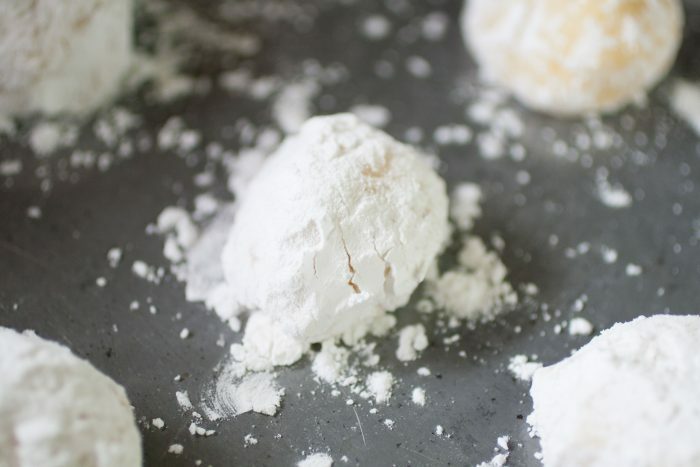 As you can see, I rolled some cookies twice in icing sugar. Just because I like the contrast it makes after baking. It only takes 15 minutes to bake and they are good to go. Crispy, with a soft crumb and full of coconut and orange flavor. These cookies were a hit among our family and friends. Definitely will try the other versions. 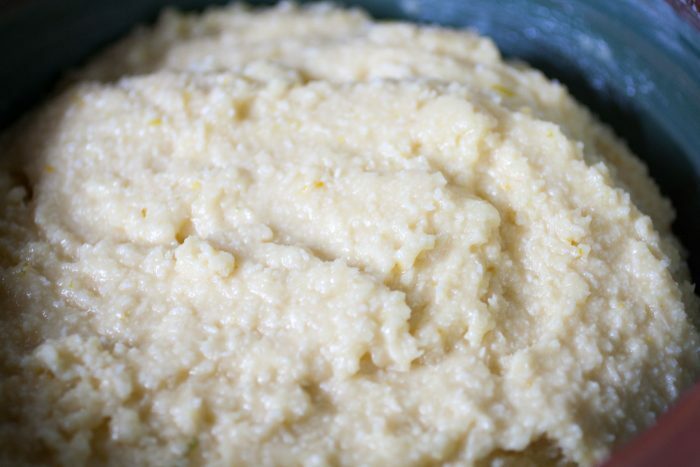 Where to find semolina in Paraguay? Casa Rica in Asunción usually has 1-kilo bags (Hildebrand brand). If you can’t find it there, you can get it at Hildebrand distributor in 5-kilo bags. If you know of other places, please let us know! Preheat the oven to 365F / 185C and grease 2 baking trays. In a large bowl, mix eggs, oil, orange peel and 1-1/2 cup of icing sugar. Add semolina flour, grated coconut, and baking powder. Mix well. In a small bowl add the other 1-1/2 cup icing sugar. Make balls of about 1.5 inches in diameter. 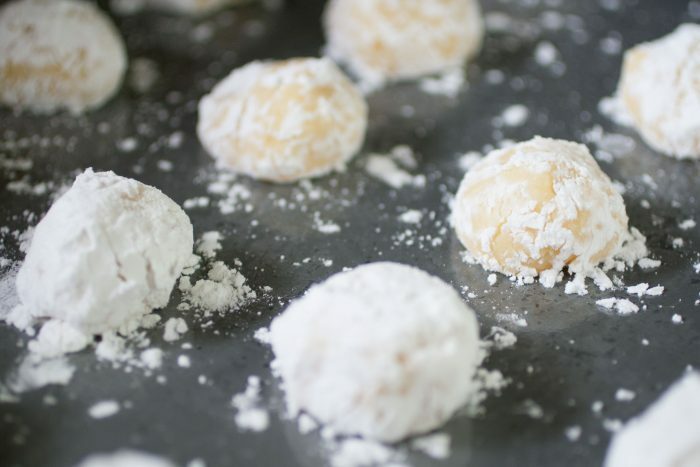 Roll them in icing sugar and place them on the greased trays. Bake for 15 minutes. Remove them from the oven and wait 3 minutes before placing them on a cooling rack. Once cool, store in an airtight container. Keeps for up to 7 days. These look so delicious! 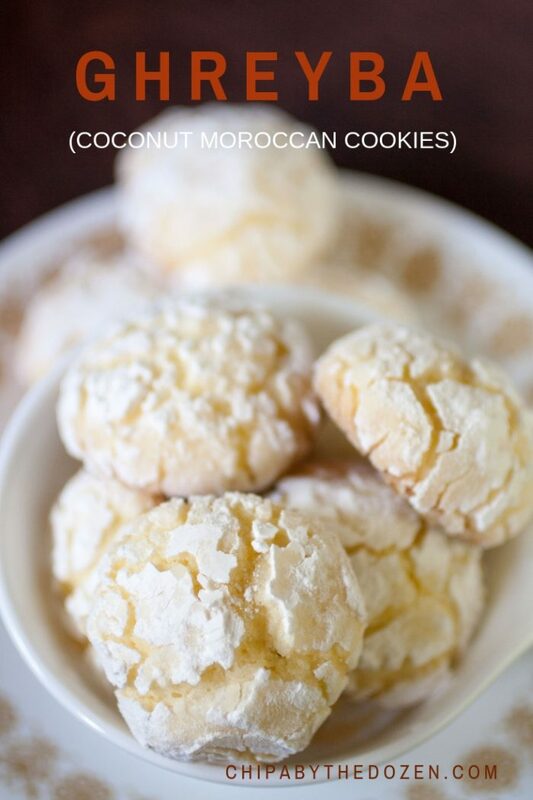 Coconut is one of my favorites in cookies! I can’t wait to give these a try! I hope you like them Beth! 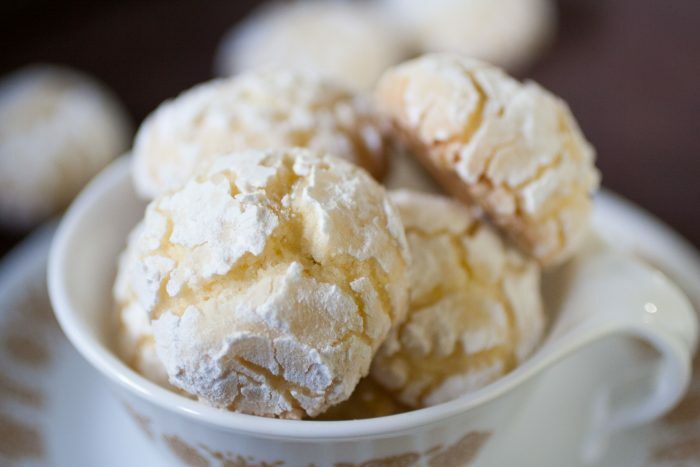 These cookies look so good I almost want to lick my screen, I love all the flavors in these cookies and they are so pretty, can’t wait to try to make them! My favorite flavors 🙂 I hope you like them! That would be awesome to try the real ones! Well don’t they look dainty and lovely, I guess the dainty selling point disappears when you eat 47 of them though 😉 I love the flavours in these, I don’t bake often but I must give these a go! I hope you try them Brian!